for booking/remix/press please link up here: digital-steppaz-soundsystem@hotmail.com About us and our philosophy: To create a sound system vibe is part of the Digital Steppaz activity. Dubby Ranks (a member of one of the oldest Dancehall sounds from Freiburg) and Dr. Chalice started this project in the summer of 2010. Selectah Easy T Jam/Esperanza Soundsystem and My T joined Digital Steppaz in 2011. In their work the bass and the offbeat built the musical foundation. They incorporate Reggae, Dub, Dubstep and many more styles into their DJ-Sets. This crew is well equipped and organised because during many years they grew up with organization and promotion of dances, festivals and networking. Digital Steppaz built their first soundsystem stack with 8KW during the last 2 years and in the end of this year probably they will operate with 16 KW on 2 stacks – so that the music can be presented properly e.g. big dubstages on festivals can be powered. The following events: Bass & Offbeat, Dubclub Freiburg and the Dubwohnzimmer are taking place in Freiburg. The members of Digital Steppaz are organizing it or partially working with. Many international artists like Clouds, Disrupt (Jahtari), Mungo`s Hifi, RSD (Smith and Mighty), Soom T, Trevor Junior, Solo Banton, Shanti D, El Fata and many more performed live with them. Dr. Chalice is one of the producers in his studio wherefrom he creates tunes and remixes. Selectah Easy T spend 2 time in Kingston/Jamaica. There he recorded many Killa voicetracks for Jahtari and Mungos Hifi, O.B.F. and others. He recorded Sugar Minott, I Bogle, Black Warrior, Wheeler, Wild Life, Pad Anthony and many other artists from the island. Big digital tunes for the producers from MAFFI (Kopenhagen). The record release on 12" is SCOBO 026 - Mungo`s Hifi ft. I Bogle / Bogle Riddim – which was a big hit @ Ernie B´s worlds largest reggae distributor from NY is still in heavy rotation on Mungos Hifi Selection since 5 Years. 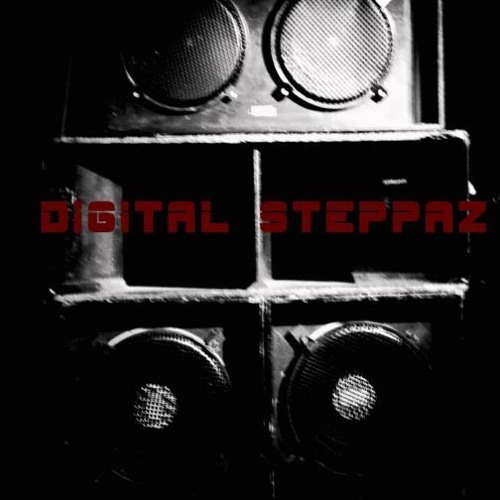 Digital Steppaz played Germany, New York, France, UK, Mexico, Czech Republik, Croatia. Productions been played by producers like Jahtari, Mungos Hifi, RSD (Smith and Mighty), O.B.F. and many more. Finally in June 2015 was the own Imprint/ Label "Double Dynamite" founded. We released a 7" with 2 singers: Wheeler from Kingston/JA in Digital Style on the Turtle Riddim which was built by Maffi. The other side is a Soundsystem tune to wreck down all dancehalls with Shanti D the MC/Singer from O.B.F.